Are you searching for multi fuel stoves in Halifax? At the Leeds Stove Centre we supply a large choice of multi fuel stoves that are available within the Halifax area. We supply an excellent choice of multi fuel stoves that are suitable for all different styles of homes. We have a choice of both contemporary and traditional styled stoves that would make not only a great focal point in your home, but also an excellent source of heat. We also have a showroom that is located in Pudsey, Leeds where you can see a large range of our multi fuel stoves as live, working displays. This helps you get more of an idea of how your multi fuel stove will look and feel in your home. To ensure that we supply you with the highest quality multi fuel stove, we stock multi fuel stoves from experienced manufactures such as Burley, Stovax, Yeoman and more. We also stock stoves from less well known barnds that offer great workmanship, such as Di Lusso and Mendip. 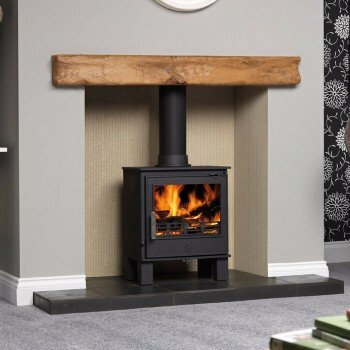 The brands that we stock have a huge range of designs and accessories to choose from, which means that you are certain to find your perfect stove at the Leeds Stove Centre. Not only do we off high quality Multi Fuel Stoves but also great prices too. We like to go the extra mile when supplying our multi fuel stoves, so not only do we sell stoves but we are also able to install them to a high standard. Additionally if you require a chimney test or a flue system installed our highly experienced HETAS registered in-house installers are also able to do this. Please call us on 0113 255 5622 to arrange a free installation survey or for more details on multifuel stoves. We pride ourselves on giving you the very best prices for multi fuel stoves in the Halifax area , therefore we will always beat or match any other genuine retail competitors price in the UK for the same Multi Fuel Stove!